This beautiful Chrome and Clear Glass Console Table has a stylishly modern design and would fit perfectly within any modern home. 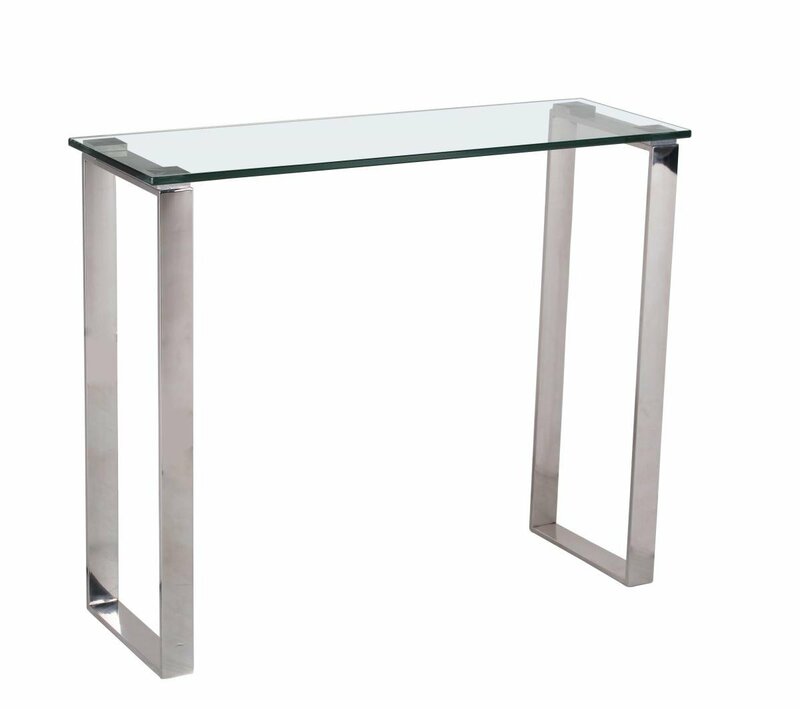 The tall Chrome legs and Clear Glass tabletop has a contemporary chic style that is perfect for any Hallway or Living Room. For the highly modern home design that demands attention.